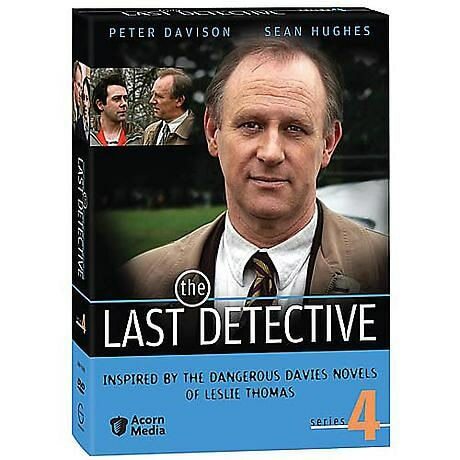 Things are looking up for Detective Constable "Dangerous" Davies (Peter Davison, Doctor Who, At Home with the Braithwaites). Sure, he still gets the least promising cases in the Willesden constabulary. And he still gets little more than mockery from his colleagues. But his wife Julie (Emma Amos) has taken him back--even though she has to share a house with his quirky, freeloading chum, Mod (Sean Hughes, The Commitments). These five full-length mysteries feature first-rate guest stars, including Kenneth Cranham (Rome), Roger Daltrey (McVicar), and Leslie Phillips (Chancer). Each one rewards you with the gentle humor and captivating intrigue that you've come to expect from North London's most doggedly unglamorous detective. 5 episodes; approx. 342 min. on 2 DVDs. After a daring, PS6 million diamond heist, all fingers point to crime boss Jimmy Vincent, released from prison on the very day of the robbery. Soon, however, Jimmy winds up floating facedown in his pool, just after submitting a devastating tell-all memoir to a publisher. When teenagers find the two-week-old corpse of Dominic Sylvester, everyone in the Willesden constabulary dismisses it as the lonely death of a reclusive old man--everyone, that is, except Davies, who uncovers a homemade snuff film among the dead man's family movies. Bunny Hopper--half of the almost-famous comedy team Bunny & Jules--dies onstage in a bingo hall, the apparent victim of poison. True to his nickname, Bunny had apparently led a very active love life, leaving no dearth of suspects for Dangerous to investigate. Someone dispatched limo owner Tony Hill by slashing him with a jagged champagne bottle, a tragic end for the former ex-pat recently back from Uruguay to rebuild his life. But delving into Hill's past, Dangerous learns of an assumed identity and a PS2 million motive for murder. A dead man found behind the wheel of his car on a soccer pitch leads Davies to the Lodge of Divine Serenity, an exclusive all-male organization with a secret membership list. Dangerous suspects that the club's business involves more than mere community benevolence.